Personally, I think that the Blade Tech Signature holster is a way for Blade Tech to lower their prices and sell more holsters. The Classic holster runs about $69.95, a steep price even for the best Kydex handgun holster. I bought 3 at this price point because I wanted the best. I knew I was going to subject my holsters to some very hard use, and the last thing I want is to worry if my equipment is going to hold up. When I received my first Blade Tech, I knew it was indestructible, and over the years, I find I was right! The Signature holster is almost exactly the same holster, but at around half the price of the original Classic model. Don’t let the lower price fool you, it is the same quality and Blade Tech claims it is even more durable. They will now be able to sell these to the customer that does not have $70 to spend on a holster. The Signature OWB Holster Has all the great features of the classic OWB, and Blade Tech it says it is even more durable, if that is even possible. As with the classic OWB holster, each signature holster is made to precision dimensions to fit each individual make and model perfectly. This allows the trigger guard to snap in place so that the gun is held securely and the retention is adjustable to make it just right. Who Would Want to Buy a Blade Tech Signature Holster? If you are going to take a defensive handgun training class at Front Sight Firearms Training Institute or other training school where you will be using an Outside the Waistband holster, this is the holster you want. It is arguably the best there is and now it is at a price point that is affordable for everyone. 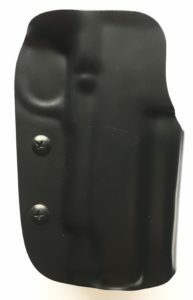 This type of holster is required at training schools due to the fact that the holster stays “open” when the gun is removed, making re-holstering safer. Leather or nylon constructed holsters can collapse when the gun is not present, requiring two hands, or worse, fiddling with the gun to get it back in. Believe it or not, a lot of negligent discharges occur during re-holstering, especially with newer shooters that do not yet have the discipline to keep their finger out of the trigger guard unless they are on target. If you carry your firearm on your hip, either concealed or open carry,this is an excellent choice. You want a holster that retains the weapon securely, yet is easy to draw from when necessary, and stays open so re-holstering with one hand is easily accomplished. Blade Tech holsters are an extremely popular choice for the competition circuit as well. I do not compete myself, but I know people that do, and they use Blade Tech. The Speed Cut refers to the U-shaped opening in the top front of the holster. This feature allows the user to start bringing the gun forward before it completely clears the holster, allowing for a faster draw. This obviously is a desirable modification for competition shooters as well as defensive use of the handgun. Any time you can get the gun out just a bit quicker is a good thing! 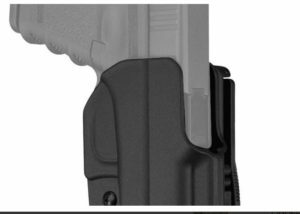 Precision Molding is very important in a kydex OWB holster design such as this one. A holster that is precisely designed around the exact dimensions of your particular firearms make and model will hold it safely and securely. When you need to draw the weapon, a precise fit will allow a smooth, quick craw that is the same every single time. Positive Lock Trigger Guard is simply the feature that holds the gun in place until needed. There are tabs that snap in place around the trigger guard, creating tactile feedback letting you know the gun is locked in place. This will keep the gun secure until you need it. Adjustable Retention refers to the ability to adjust how tightly the holster holds the gun. This is accomplished by two screws that can be tightened or loosened to your liking. I recommend adjusting (do NOT test this with a loaded gun!) the retention so that the gun does not fall out when the holster is turned upside down and slightly shaken. RMR Compatibility means that a gun that is outfitted with an RMR (Ruggedized Miniature Reflex) optic or other reflex sight system will fit into this holster. This is a big feature as these optics are becoming more and more popular, especially in the competition circuit. Not all pistols are compatible with an RMR, so this will only apply to you if you own an RMR ready pistol, in which case you are likely already well-informed. Tek-Lok or ASR Attachments. You will need to choose between these attachment options when you order your Blade Tech Signature Holster. 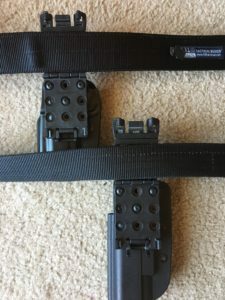 As I mentioned earlier in this article, I prefer the Tek-Lok mainly due to the fact that a lot of my experience with Blade Tech holsters was using them for training courses. It is much more convenient to be able to don, adjust and remove the holster without removing my belt. I even use Tek-Lok attachments with my Blade-Tech magazine holsters for this reason. The Signature holster can be ordered with either an ASR or Tek-Lok attachment. The ASR stands for Adjustable Stingray Belt Loop. This is probably the most secure and stable attachment platform available. It requires you to feed your belt through it and features an adjustable she in soon it will fit any belt width. You can also adjust the cant with the ASR attachment. The Tek-Lok attachment is my personal preference simply because I can remove the holster without having to remove my belt. Tek-Lok is slightly less stable, but this is barely noticeable. It is also adjustable for belt width. It has a dual locking mechanism to keep it secure. I have used the Tek-Lok attachment on my Blade Tech Classic OWB Holster for many years of handgun training, including rolling around on the ground in the gravel, shooting prone shooting from behind and under objects and never once had my holster come loose. 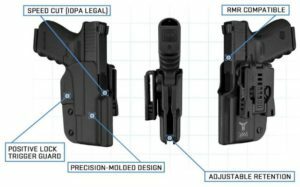 The Tek-Lok attachment is inexpensive enough at about 13 bucks to purchase along with an ASR holster, allowing you to try both methods of attachment. Having used the Blade Tech classic holster for many years, I have every confidence in the Blade Tech brand and will not buy any other holster for OWB carry and training. There are less expensive brands out there, although with the signature series holsters coming in at around $34.99 or less, you cannot go wrong. Especially knowing there is a Lifetime Warranty on Blade Tech product, I recommend buying a BladeTech Signature holster for your Outside the Waistband training and competition needs. Available at Amazon, Cabelas and other outdoor retailers. Blade Tech was established in 1995 in Puyallup, WA and has been a leader in the industry for over 20 years. 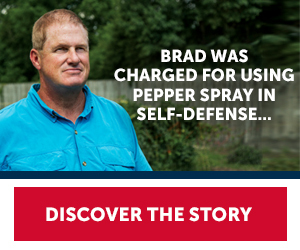 Their mission is to create the best concealed carry gear in the industry. Blade Tech prides itself in providing exceptional customer service and product value. 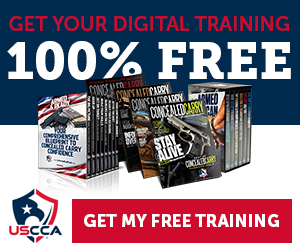 “Carry Confident” is the company slogan referring to the confidence one feels when carrying concealed and knowing the equipment is the very best. When your life is on the line, you need to be confident in the firearms you carry as well as the holster you use to carry it.